All reservations must be guaranteed with a deposit of 30% of the total booking. This deposit is payable at confirmation of booking. We require prepayment by bank transfer or credit card details in order to guarantee your reservation. If the customer does not provide the credit card details within the agreed time, (12 hours after the positive availability reply ) the reservation is considered invalid and therefore rooms will be available to rent to other customers. Once the prepayment has been verified, we will send you the final booking confirmation (Voucher) and the receipt of your prepayment attached in (PDF), to the e-mail address provided to us during the booking process. In order to safeguard and encrypt your credit card information when in transit to us, we use the "Secure Socket Layer (SSL)" technology for our services. The hotel has the right when receiving a reservation to pre-authorize your credit card 14 days before your arrival. Cretan Villa Hotel respects your privacy and is committed to protecting it. Cretan Villa does not sell, rent, lease or otherwise disclose any of your information to any third party unless required by law. If you do not wish to confirm your reservation electronically, you can guarantee your reservation by depositing the 50% from the final amount in the Hotel's Bank Account by bank transfer. Upon making the booking payment, the client must take on the cost of the transfer, in the case that these were applicable. If the advance prepayment is not paid within the agreed time, (2 working days) the reservation is considered invalid and the rooms will be available to rent. Once made the bank transfer, you will need to send us the payment receipt by e-mail, and when the operation has been validated we will send you the final booking confirmation. Check in time: 14.00 - 20.00. Check out time: 08.00 - 12.00. In case of arrival later or earlier than the front desk hrs (8:00 - 20:00 daily), please be so kind to let us know. 13.00 % VAT is included. 0.50 % city tax is included. Excluded charges: Government tax: 0.50 € per night. A service charge is not applicable. If cancelled up to 21 days before date of arrival, no fee will be charged and the deposit will be refund back to the customer credit card. If cancelled or modified later, 50 % of total price of the reservation will be charged. In case of no-show, the total price of the reservation will be charged. In case of cancellation during the stay, a 50% compensation of the remaining days originally agreed is due and payable to the hotel by the customer. Despite the fact that we like them, for the present time we can not offer them the appropriate accommodation. For any discerning Ierapetra visitors looking for a hotel with personality and charm. Holiday makers will enjoy the romantic and cozy atmosphere of these great value for money double or twin rooms in Ierapetra. Cretan Villa Hotel triple room is the perfect solution for small family or group of friends in Ierapetra. 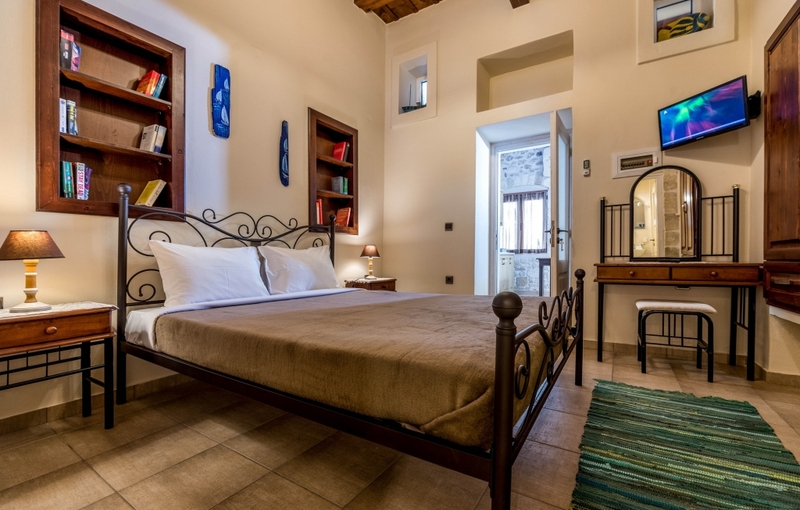 Akrolithos cozy apartments in Ierapetra Crete offer the comfort, privacy and flexibility of a self-catering property, together with the added benefits of hotel-type services.